Become a member of the San Marco Preservation Society in 2019! Click here to get involved in the community and learn about the perks of membership! The iconic 3 Lions statue in San Marco Square is turning 21 years old this year! Join the San Marco Merchants Association and the San Marco Preservation Society on Saturday, Oct. 13 to celebrate our three favorite felines! You’ve seen the lions dress up for other events, but never like this before! 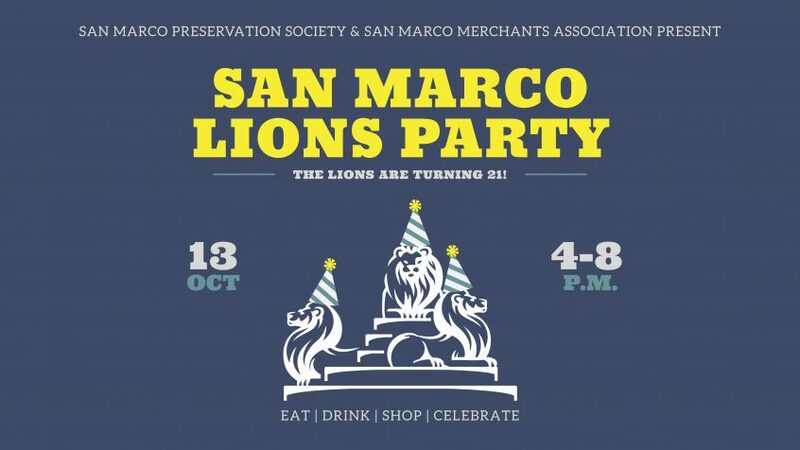 Join us in San Marco Square for a fun-filled day to celebrate the 21st birthday of our beloved lions. The celebration will feature live music in the square, beer and wine for sale, a selection of birthday desserts, and exclusive sales and specials from local restaurants and businesses. See below for the full list and schedule! 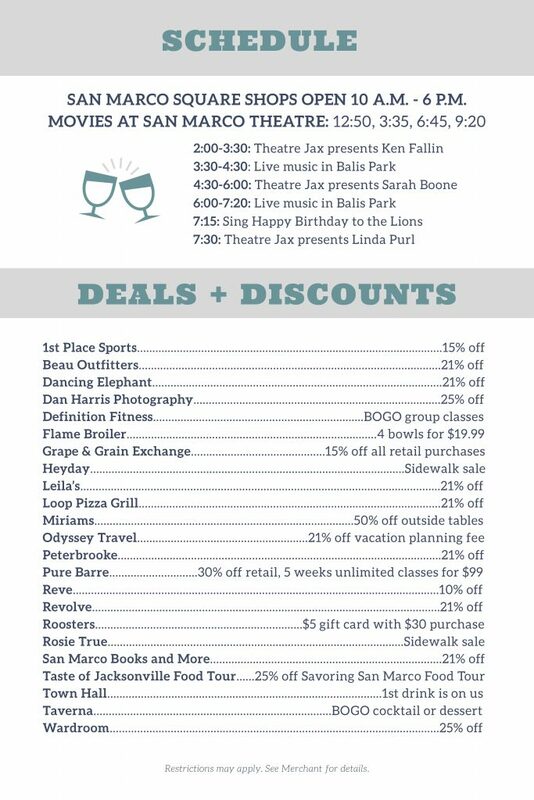 The community will toast the lions and sing happy birthday to them at 7:15 p.m.
Upcoming Public Meetings for San Marco Residents! Holiday Brick Drive 2018 is Underway! © 2019 San Marco Preservation Society, All Rights Reserved.